First off, sorry.Â I know I’ve been neglecting my various corners of the internet.Â My plan is to correct this in the coming weeks, but I’m afraid I can’t make any promises.Â Between planning the World Horror Convention and various writing projects, I’m sitting in the slim-to-none category, as far as free time goes. On Thanksgiving Day, I finished the latest draft of a novel that, while having some horror elements, is largely a crime piece.Â It’s got at least a polish in front of it, but right now it leaves me feeling proud and stuff.Â I really think it’s going to be something special.Â I’m itching to jump back into it sometime in January. In the meantime, I have a short story to write for an anthology.Â I’ll also be spending much of December rewriting a novel that should be out next April.Â I can’t say much about it other than there are a few hints floating out there and it’s a loose adaptation of a story I’ve already told.Â It’s one folks have been asking for, though! Also, December will be seeing my annual “Best Of” lists.Â I’m thinking about doing one for movies in addition to my normal books and songs lists, but please don’t hold me to that. That pretty much takes me through the end of the year.Â 2011 brings a rewrite on a horror novel and theÂ first draft of another horror novel.Â My novella This Little Light of Mine should be available in the early part of the year, and then Focus, a novella I co-wrote with Lee Thomas should also see publication at the end of April.Â Other than that, I’m thinking about recording a record in my garage just for the hell of itÂ (not that I expect it to be any good… best not to be delusional about these things). And there you go.Â That’s the next few months all laid out for you! This weekend, I’ll be appearing at the first Austin Comic Con.Â I’ll be helping man the STAPLE! booth with Christ “Uncle Staple” Nicholas and a few others. I’ll have copies of just about everything, so stop by and help me pay for lunch. Also, Friday night I’ll be popping into Club Deville to check out the live art show.Â You could do a lot worse for entertainment. After just under 48 hours, RED SKY is down toÂ less thanÂ 15 available copies.Â If you’re interested, you might want to jump on fast! 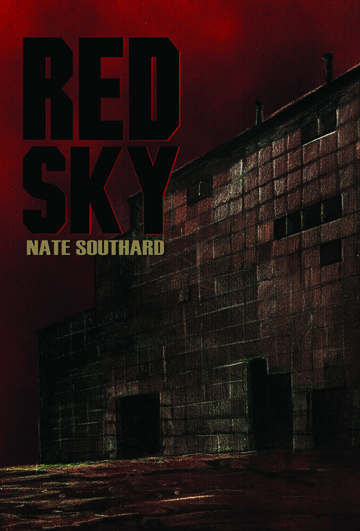 If you need a little convincing, maybe you can check out this interview Blu Gilliand conducted with me over at Horror World.Â There’s some fun discussion of RED SKY, the genre, and where I came from.Â Go check it out!